(FinalCall.com) - While members of the Republican-led Congress and the Obama administration wrangle over severe budget cuts, one area of the federal budget that does not appear to be in jeopardy is the money going to the state of Israel. According to the Institute for Middle East Understanding, U.S. military aid to Israel will reach $30 billion between fiscal years 2009-2018, an annual average increase of 25 percent over previous levels. In messages delivered recently, the Honorable Minister Louis Farrakhan said both the Democrats and Republicans in the Zionist-controlled U.S. Congress are complicit in the development of the political and economic quagmire in America. For a long time, he was a soloist as a consistent voice unafraid to criticize the policies of the American government concerning Israel and their errant behavior towards the Palestinians, but now a national and international chorus is rising up behind him questioning whether America's level of support for Israel can be justified in light of currently existing economic realities. Israel has received more direct financial aid from the United States than any other country since its controversial formation 63 years ago. Israel spends more on defense as a percentage of its Gross Domestic Product (GDP) than any other major industrialized nation including the U.S. According to If Americans Knew, an independent research and media analysis institute led by journalist Alison Weir, U.S. taxpayers give Israel an average of $7 million per day. As more Americans learn of their hard earned tax dollars being used to bolster Israel's military capabilities, many are calling for an end to what they believe are misplaced expenditures. In fact, a recent Gallup Poll found that 59 percent of the American people favor significantly cutting U.S. foreign aid. “The cost to Americans is even far greater than the direct aid. For example, our government typically gives this money to Israel in a lump sum at the beginning of the fiscal year. Since we're operating at a deficit, that means that we borrow this money then continue to pay interest on it long after it has been disbursed to Israel. Israel, however, has no need to spend it all immediately, and is able to make interest on it,” said Ms. Weir, a consistent and outspoken human rights activist. Dr. Mazin Qumsiyeh, an activist and professor who teaches at Bethlehem and Birzeit Universities in Israeli-occupied Palestine, said because of America's desire to cater to what he refers to as the “Israel first lobby,” the U.S. is now involved in wars all across the globe. “It is criminal for our elected politicians to subvert American interests because of their narrow personal interest(s). It is not just the direct aid aspects but also the fact that the lobby makes U.S. foreign interest captive and led to pushing the U.S. to very costly wars. U.S. interests around the world are threatened because of this hypocrisy and misdirected foreign policy,” wrote Dr. Qumsiyeh from Palestine in response to emailed questions presented by The Final Call. In 2007, the hawkish administration of George W. Bush announced an increase of U.S. military aid to Israel by $6 billion over the decade. According to the U.S. State Department, Foreign Military Financing (FMF) to Israel is set for $3.09 billion a year FY2012-2018. President Obama has stated that Israel's security is “sacrosanct” so there is no reason to believe that this very high level of financial support will end any time soon, in fact, it may even grow—despite whatever negative effects may be experienced by the American people. While health care costs and prison costs are skyrocketing, education budgets are being slashed. While the middle class pays higher taxes and gas prices continue to escalate, many are being forced to make ends meet with a dollar that is losing its buying power. To avoid a government shutdown, millions of dollars in budget cuts resulted in lost financial support for dozens of much needed programs such as: WIC, a federally funded program for women, infants and children, juvenile justice programs, energy efficiency and renewable energy research, the U.S. Postal Service, several areas within the Federal Emergency Management Agency and the Administration on Aging, as well as Teen Pregnancy Prevention Community Grants. If aid to the poor and unemployed is considered a “hammock” then what is foreign aid to Israel? Most politicians won't say, because of fear of the Israel lobby, and since the news outlets are controlled, most Americans remain uniformed, Ms. Weir said. “This Israel lobby is so powerful that most congressional representatives—across party lines—are deeply afraid to oppose it. They are also extremely aware that news organizations are also largely dominated by Israel partisans. As a result, most Americans have almost no idea that while their schools are closing, their veterans have insufficient medical care, and our economy is in deep trouble, we continue to send massive amounts of our tax money to a tiny, wealthy country based on discrimination against Christians and Muslims that violates basic principles of justice and humanity. They are also unaware of the profound damage done to Americans by our aid to Israel on a variety of levels—strategic, economic, and moral,” said Ms. Weir. America's unwavering support for Israel enables the Zionist state to keep a “qualitative military edge” over those governments perceived as threats in their region, mainly Syria, Iran and Saudi Arabia. Israel labels Hamas in Palestine and Hezbollah in Lebanon as mortal enemies and constantly targets leaders of both organizations for extrajudicial assassinations. Israel is set to purchase between 20 and 25 F-35 Joint Strike Fighter jets from Lockheed Martin, costing well over $100 million each. The Obama administration sought $205 million from Congress in his 2011 budget to assist Israel in purchasing up to 10 Iron Dome mobile air defense systems typically used for intercepting short range rockets such as Katyusha rockets used by Lebanon in the 2006 war. While Israel claims to seek protection, perhaps Israel's neighbors need protection from her bloody and paralyzing weapons. In the beginning of April, the already suffering people of Gaza were subjected to another heavy handed military assault when Israeli air strikes killed 18 Palestinians and injured 60 more, according to Ma'an News Agency which operates in the Palestinian territories. On May 14, 1948, Zionist leader David Ben-Gurion read the proclamation of nationhood and with those words, the Zionist state of Israel was created in Palestine. Mr. Ben-Gurion, also called “The Armed Prophet,” would become Israel's first Prime Minister. The United States and the Soviet Union—at that time the world's superpowers—immediately recognized the government of Israel and the formation of the Zionist state. President Harry S. Truman was heavily pressured by Jewish lobbyists in America to support the establishment of the Jewish homeland in Palestine. At the same time, his top advisors made sure he was aware of the possible ramifications of such a decision in the Arab world. In the end, Mr. Truman's decision to support the formation of the Zionist state was borne out of political pragmatism in his desire to obtain Jewish votes and financial support in his upcoming re-election bid. “It is my responsibility to see that our policy in Israel fits in with our policy throughout the world; second, it is my desire to help build in Palestine a strong, prosperous, free and independent democratic state. It must be large enough, free enough, and strong enough to make its people self-supporting and secure,” said President Truman in a speech October 28, 1948. Israel's first president Dr. Chaim Weizmann presented Pres. Truman with a copy of the Torah, and with that gift, the unholy alliance between Israel, its American lobbyists and the United States government was sealed. The Christian Zionists and American Jewish lobbyists have maintained an unbroken grip on American presidential administrations—regardless of party affiliation—ever since. Critics say AIPACs heavy involvement in influencing policy decisions regarding areas such as homeland security and anti-terrorist laws along with efforts to—in their own words—“stop rogue nations such as Iran from acquiring weapons of mass destruction,” cross the line, raising the specter of competing loyalties. Additionally, while focusing on a fledgling nuclear program in the Islamic Republic of Iran—a sovereign nation hoping to use nuclear energy to meet the needs of its people—America allows Israel to withhold information regarding nuclear weapons of mass destruction from the international community. According to recently uncovered documents, Israel may have even offered to sell the South African apartheid government nuclear weapons that they refuse to admit exist. According to a Washington, D.C.-based think tank, the Federation of American Scientists, American intelligence officials concluded back in 1968 that Israel had successfully began producing nuclear weapons. Based on research and data of military analysts as well as information made public in the mid-80s by former Israeli nuclear technician turned whistleblower Mordechai Vanunu, Israel has a significant cache of deliverable nuclear warheads, clearly making Israel the most dangerous nuclear power in the region. Mohamed ElBaradei, former International Atomic Energy Agency director publicly stated that Israel possesses a robust nuclear arsenal, however, America remains silent, even while Israel refuses to become a signatory to the Nuclear Non-Proliferation Treaty thus rejecting international inspection of her nuclear reactors and development sites. Although most analysts believe Iran has yet to develop a nuclear weapon, the intense desire of Israel's hawkish politicians and their relentless push to bomb Iran's nuclear development sites is well known. Most analysts believe Israel wants the United States to do it, however, if the Obama administration waits too long, the Israeli Defense Force will handle the job themselves. No matter what the Obama administration does to appease Israelis in Jerusalem, Tel Aviv or New York, reportedly offering additional financial aid or exercising its United Nations Security Council veto power for the first time to reject a UN resolution calling Israeli settlements illegal and seeking to halt their construction, the American Jewish community remains unhappy. The Israeli government continues to plow ahead with deliberate provocations, ignoring ceasefires, and the diplomatic skirmishes which arise never result in any interruption in Israel's funding. According to a report titled “U.S. 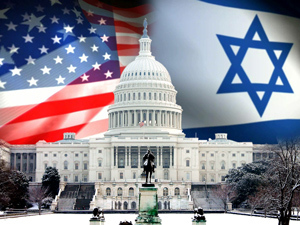 Foreign Aid to Israel” available through the Congressional Research Service, Jeremy M. Sharp, a specialist in Middle Eastern Affairs, documented reported disagreements between the U.S. and Israel resulting from the latter's willingness to sell deadly weapons of war to other countries. Despite its tiny size and population—ranking as the 96th most populous country in the world—Israel is solidly within the top 10 of the world's largest arms exporters. According to the Stockholm International Peace Research Institute, Israel currently ranks 8th in weapons exports, just behind China, which by comparison is the most populous country in the world. “Israel has become a major global leader in arms exports, and over the last two decades, the United States and Israel have periodically disagreed over Israeli sales of sensitive U.S. and Israeli technologies to third party countries,” Mr. Sharp writes. Unsurprisingly, the United States is the world's leading arms supplier, with the largest defense budget among all nations. Dr. Qumsiyeh said if he was able to speak with Pres. Obama directly, he would encourage him to be courageous and take on the powerful lobbying forces that shape America's foreign policy. “I would tell him that it takes courage to make change in the system. That each of us is more powerful than we think. That is why it was possible to challenge the power of the system in Egypt and Tunisia by common people. He knows this having worked as a community organizer. Now that he is president he seems to have lost that courage and is now going along with the system. He has not closed Guantanamo, he has not ended the imperial war on Iraq, he has expanded the imperial war on Afghanistan, he has actually expanded wars in Somalia, Libya et cetera. Where is the ‘change we can believe in? '” Dr. Qumsiyeh asked. Ms. Weir appealed to Mr. Obama to tell the truth of what he knows and make a public speech on the issue for all to hear. “I would urge him to tell the facts that he already knows, despite the extreme pressure by powerful Israelists in our nation to keep this information covered up. He should make a public speech that tells the truth about Israeli ethnic cleansing, the power of the lobby, and the deep damage done to our nation by our Israeli-centric policies. If he did this in a speech broadcast live it could not be censored,” said Ms. Weir. “This is not a partisan issue or a political one. This is a time for people of all backgrounds to join together for honesty, justice, and a world in which all our children—regardless of ethnicity, religion, race, or nationality—are cherished, safe, and free to reach their God-given potential,” she added.